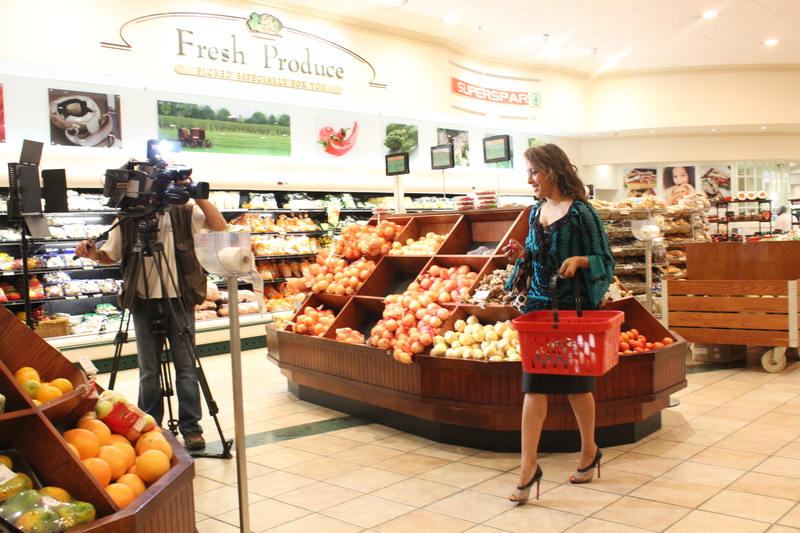 Every now and then, we are challenged by the Mela producer to take up a challenge of sorts….this one got me thinking and shopping on high alert at our local supermarket, the Broadacres Superspar. The challenge to prepare a three course meal for 4 people with R100. 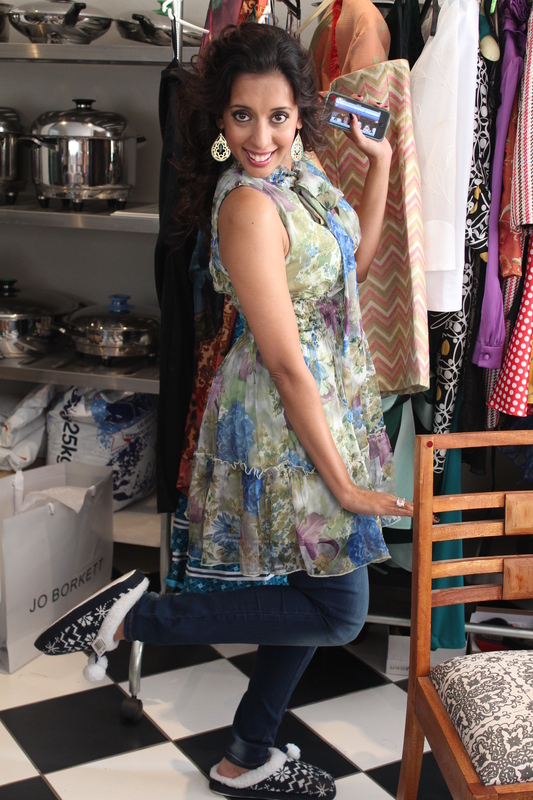 It may sound impossible at first but a little cash can go a long way with some clever and creative shopping! Just a quick word on costing….measure everything and weigh everything! 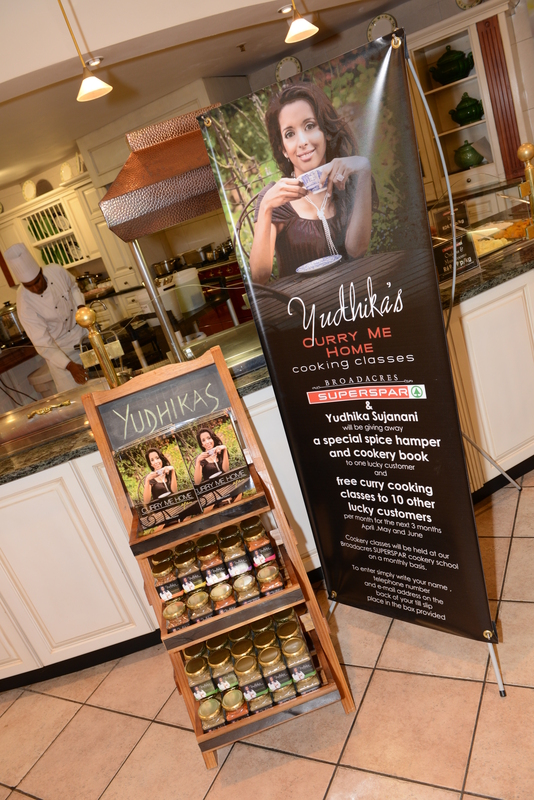 Shop shop shop at Broadacres Superspar…..special thanks to Mrs Pat Tarr and the team! I headed off to the supermarket and checked out the specials and found some frozen hake fillets for just over R30 per box…I love hake but the price made this ingredient a winner….I also opted to make a little batch of choc cakes and spotted the little brinjals on special at R12 per punnet! Another winner…a walk around Spar and the menu was already created. Herbs can be pretty expensive, sometimes costing between R10 and R15 per pack. With everyday cost-effective cooking, you need to get a little creative and I did the same a while ago by turning a sunny patch at Holi Cow into a herb garden…you have no idea how much fresh herbs and lettuce needs to be thrown out…it’s expensive and quite wasteful. I opted to use fresh herbs from the garden…mint, coriander and spring onions were freshly picked to cut down on the costs and add oomph to the marinated brinjal starter. I always have glace cherries in my refrigerator…these are often left lying in there for a while so I decided to use them in the dessert…..it’s a shame really because they are so pretty. Another tip for cost-effective cooking, is use up what you already have!!! Thinly slice the brinjals and place them in a colander. Wipe off the excess moisture using paper towels. Heat a frying pan or a grill. 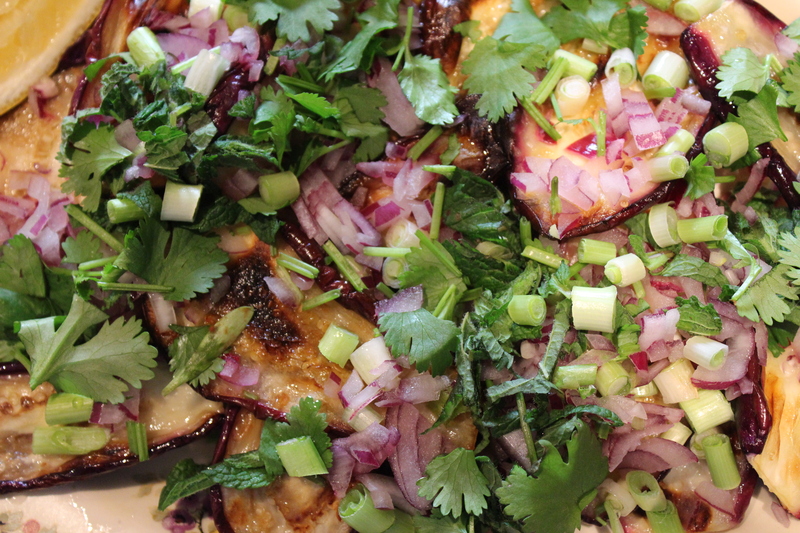 Brush the brinjal slices with oil and grill on a high heat until cooked through and slightly charred. Sprinkle over the chopped spring and red onion. Garnish with chopped mint and coriander. Chop the coriander stalks, roots and leaves into a mortar. Add the ginger and garlic and pound into a rough paste. Heat the sunflower oil in an AMC paella pan on a low heat. Add the ajwain or carom seeds to the oil and fry until they sizzle. Add the rough ginger and garlic paste and fry until fragrant. 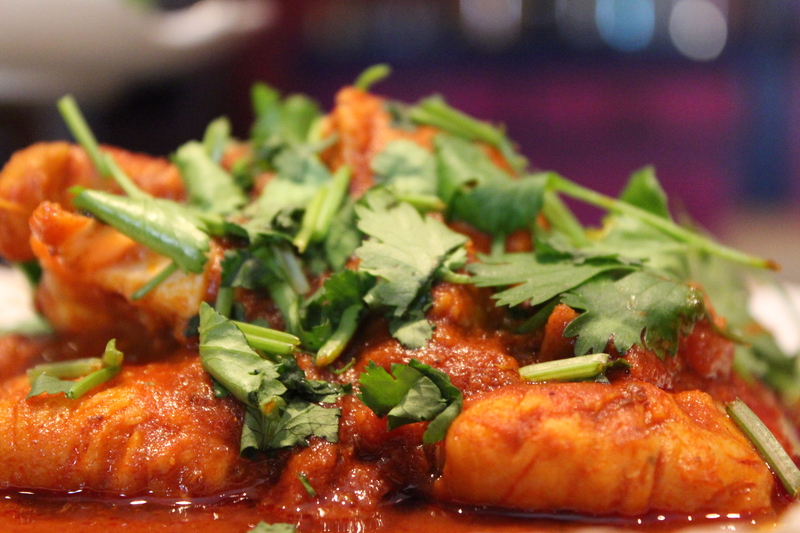 Stir the mixed masala into the oil and heat for 3 seconds. Add the chopped tomatoes and simmer until the tomato thickens. Season with salt and stir well. Add 250ml boiled water and then gently place the fish into the pan. Lower the heat and simmer until the fish is cooked through. Grease and line 4 – 6 ramekins. Dissolve the cocoa in boiling water and leave aside to cool. Sift the cake flour and baking powder into a mixing bowl and then add salt. Fold the cocoa and sunflower oil into the mixture and pour into prepared ramekins. Bake for 12 minutes or until a skewer comes out clean when inserted. Turn the cakes out onto a wire rack and leave to cool. Heat the apricot jam with water and glaze the cake. Boil the milk, remove from heat and add the chocolate – whisk until the chocolate is smooth. 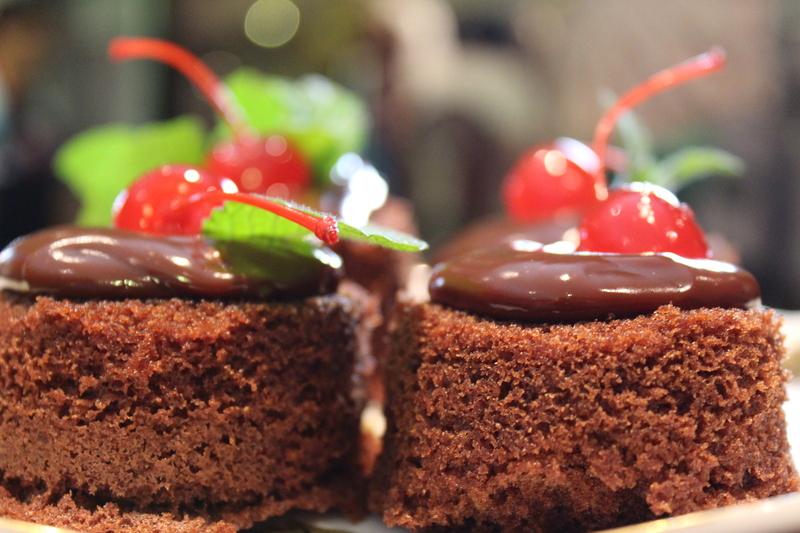 Pour the chocolate over the cake and serve. Make sure the mixing bowl is oil free before whisking the eggs – oil prevents the eggs from incorporating air. Shah Rukh in the bag…. I got to see Shah Rukh Khan up close and personal about 15 years ago when he first performed in South Africa….he was a great performer then but didn’t really catch my eye….well, now he is sporting an eight pack and has definitely got my attention! He has clearly earned his title as the ‘Badshah of Bollywood’! Shah Rukh’s favourite meal is Tandoori Chicken and I prepared this with my very own spin for Mela! 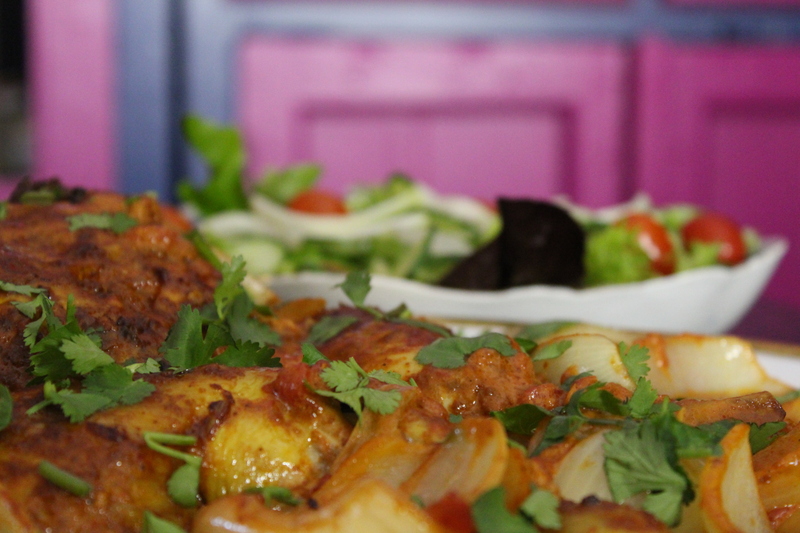 I love tandoori anything, the only problem is that it does tend to dry out….so I worked my way around this to prepare an all in one Tandoori Chicken Traybake that is deliciously moist and tender! I pop the chicken into a Glad bag and pour the marinade ingredients in to make it as mess free as possible. This works really well, saves on the washing up and also the bag goes straight into the refrigerator to marinate. 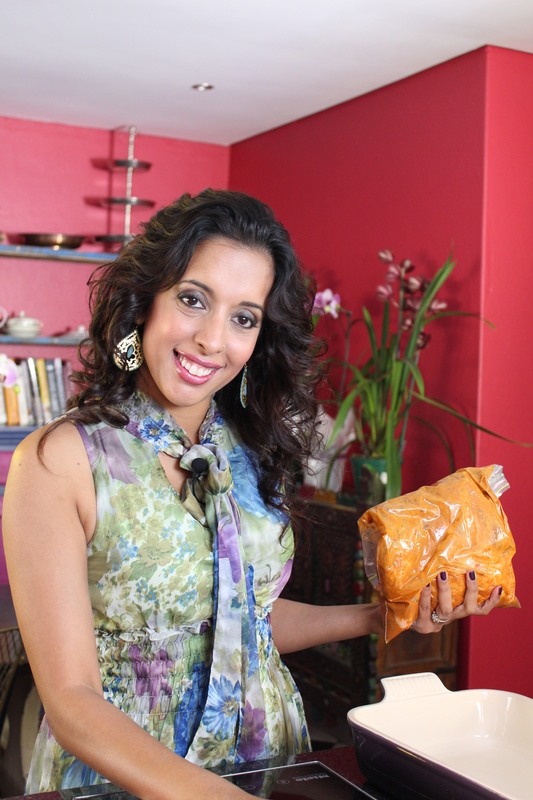 I have added magic masala to this recipe which is a spice from my own brand. You can leave it out or use an unsalted chicken spice to replace it. The marinade can be done a day in advance but always bring the chicken to room temperature before roasting. A big thank you to the Mrs Pat Tarr and her team at the Broadacres Superspar with all the behind the scenes help in getting the ingredients sourced and delivered! To flattie the chicken, lay the chicken on a chopping board with the breast side facing up. Press down hard on the breastbone twice. Turn the chicken over and use poultry shears to cut alongside the backbone of the chicken. Repeat on the other side and discard the backbone. Remove the tip of the wing, excess fat and skin. Rinse the chicken under cold running water and pat dry with absorbent paper towel. Place all the remaining ingredients except the tinned tomatoes and sliced onion into a non-reactive mixing bowl. Whisk until the marinade is smooth. Smear the marinade over the chicken flatties and leave to marinate for a few hours. Place the chickens in a deep roasting pan with the skin side facing up. Roast the chicken in a pre-heated oven at 180°C for 45 – 50 minutes, basting every 15 minutes. Stir the chopped tomatoes and onion wedges into the pan juices and return the chicken to the oven for 15 minutes. The juices should run clear when the chicken is tested with a skewer. Pour the cream into the roasting pan and stir into the sauce. Check the seasoning and adjust if necessary. Garnish with fresh coriander and serve. Sugar ‘n Spice: It’s a date…. I have mentioned Mrs Anne Bramdeo in my Curry Me Home recipe book and in a few blogs. She is just one of those people who you carry in your heart! If I had to count my blessings on a quiet day…she would feature as one of my greatest! Now, about Anne Bramdeo…she taught me how to make mealie meal rotis and convinced me to stop using an AMC pot lid to get them perfectly round. She also showed me how to smock, make chilli pickle and how to keep your spice rack in order. When I am in her company, I feel happy and content…close to twenty years later – I am certain that it is one of those soul mate connections that we share. Anne Bramdeo loves dates…when I last visited her she enthused about ‘date jam’. I hunted high and low – but there was no date jam to be found at the supermarkets…I think I should have a quiet word with Pat Tarr from Broadacres Superspar about this. By the way, I did take Mrs Tarr a chunk of this crumble and she says I should get a ‘WARNING’ because it was so moreish! I set out to perfect a date jam and tweaked the recipe just before the Sugar ‘n Spice ‘Feast of Eid’ show. I added a pinch of cardamom and a handful of pistachios. I used the home-made jam to zhoosh up an old-fashioned crumble! I am delighted to share this with you and say that this recipe like so many others was inspired by a very special lady who I fondly call Aunty Anne! Daily from Monday 29th at 7.30 pm…2 eps back to back…repeats daily at 8am, 12pm and 4pm. PS – Anne Bramdeo turns 70 next month and I am hoping to pop to Durban to visit her on this special day…Maybe, I could make her this date crumble? Dissolve the sugar and water in a 24cm AMC pot. On a medium heat, stir the solution until the sugar crystals have dissolved. Bring the solution to the boil and then add the chopped dates. Simmer until the dates are soft and mushy. To test the jam, place a little on a saucer. Scrape the jam with a back of a teaspoon – there should be a visible line in the saucer. Add the lemon juice and pistachios. Stir well and leave to cool. Place the butter and sugar in a Kenwood Chef and cream until light and fluffy. Add the sunflower oil and vanilla paste. Sift 600ml cake flour and baking powder into the cream butter. Use the dough hook to work the ingredients into a soft ball. Add a little more flour if the dough is too soft. Place one portion in the freezer to firm up. Grease a 23cm loose bottomed pie tin and press half the dough over the base. Spread the date jam over the base. Grate the chilled dough directly over the jam. 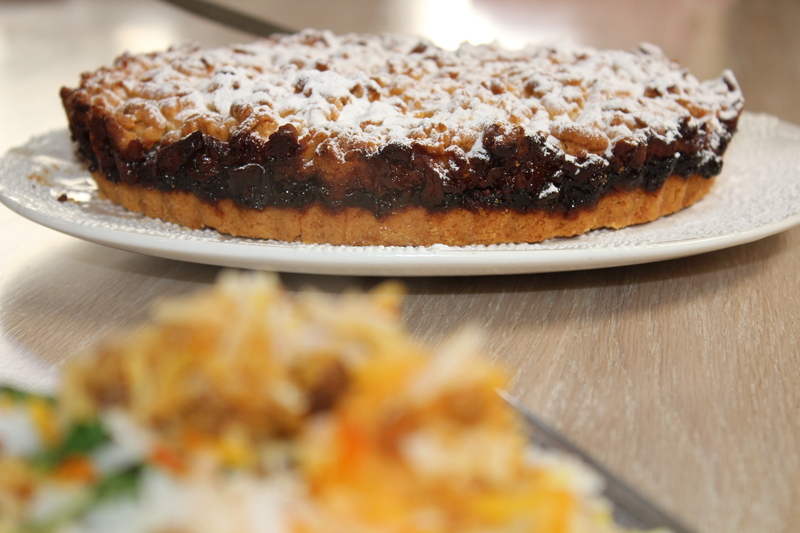 Bake the crumble in a pre-heated oven at 180 degrees celsius for 30 – 35 minutes or until it is golden brown. Turn the crumble from time to time to ensure that it browns evenly. Remove the crumble from the tin while it is still hot and dredge with layer of icing sugar. Serve warm with a dollop of cream or ice cream. I prefer to make this with real butter – what could be nicer? I am not oblivious to the cost of butter but I label myself a keen shopper so when I spot the Spar butter on special, I load up my trolley and avoid making eye contact with the other shoppers…I recommend this butter for baking and when on special it retails for R19.95 per 500g! What a win! The Icing Sugar is also a Spar house brand! I like the resealable bag and it does not harden and become super lumpy….I sometimes cheat when making frosting and pop it into the Kenwood with out sifting it…I am a self-confessed lazy chef that hates washing up! I have been a guest chef at the Hobart and Broadacres Superspar for the last few months. Both these stores have kept me on my toes – in fact, it’s actually the customers who keep me busy. The demand for home cooked convenience meals has been growing. During the Winter months there is a spike in the demand for comfort food. Soups, Hot Pots and Casseroles and yes, you guessed it….CURRIES! Chicken with baby spinach, Brinjal in Coconut Sauce (Mrs Tarr’s favourite), Coconut and curry leaf lamb and Mediterranean chicken casserole are just some of the dishes I have been preparing at the hot counter. The customers have been enthusiastic and adventurous about the new meals and often talk about how much easier it is to pick up a meal rather than cook. A lady popped in last week to pick up Pumpkin Pie (this is a speciality at both Broadacres and Hobart) that she was taking to Cape Town. 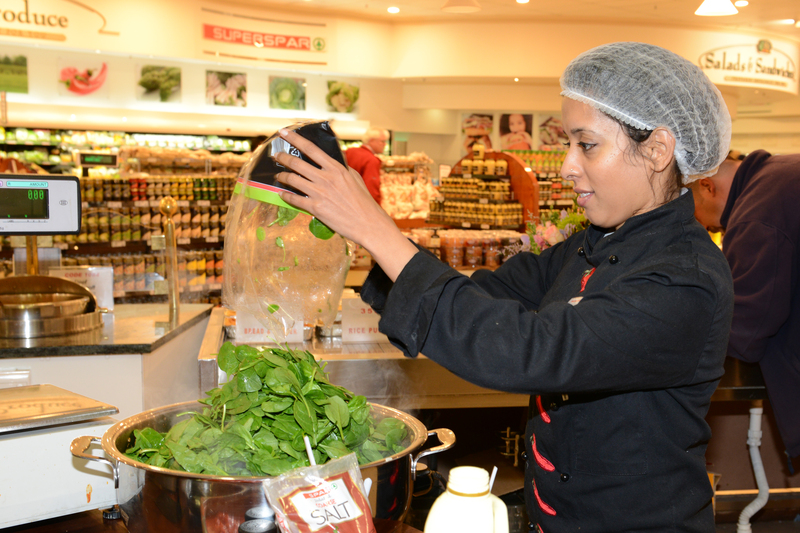 Loving the Spar’s Freshline baby spinach – All washed and ready to go! 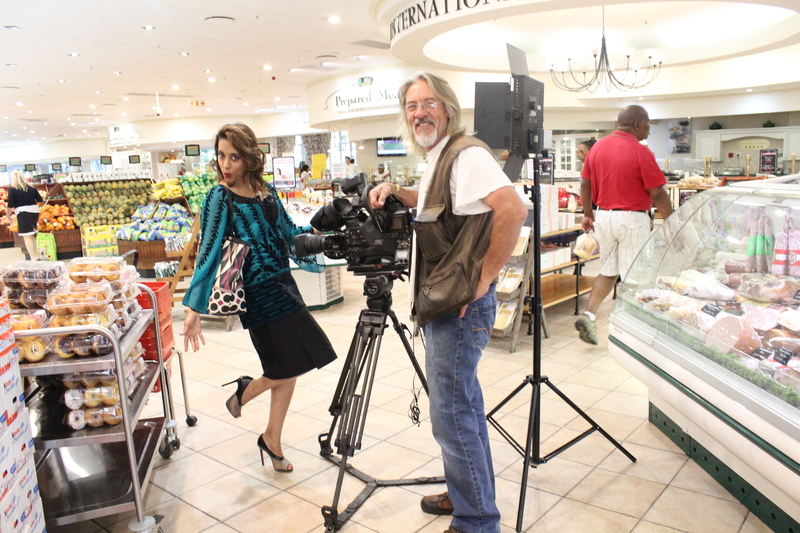 My cooking stint last week coincided with the Spar International visit. 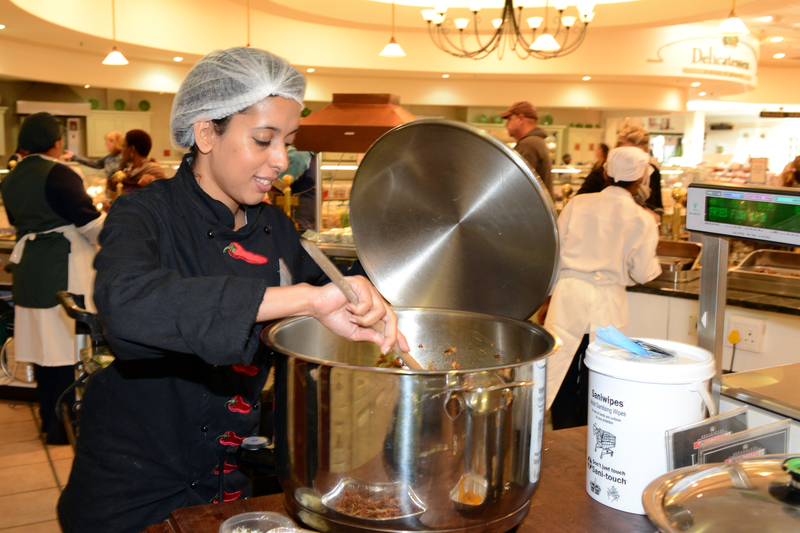 There were around 300 delegates from all over the world that visited the Broadacres Superspar. I was gob smacked – I had absolutely no idea that there were Spar stores in so many different countries. We watched as they wandered around the store staring at name badges…there were visitors from Netherlands, Italy, Germany, Ireland and Austria – the list does go on. The chicken breyani was simmering gently in my largest AMC electric pot. If I could compare this pot to a 4 x 4, I would say that its not like having an ordinary one – Its like having a top of the range Porsche Cayenne! This 40cm Magnum AMC pot always saves the day! In the pot world it says “I have arrived!” The chicken with baby spinach was cooked in time and the delicious spicy aromas wafted throughout the store. The one thing that always stands out about these two Superspars is that it attracts the ‘gourmet customers’. Broadacres Spar is an institution – just when boerewors got boring, they came up with the red wine, chilli and garlic wors. That earned the Spar a big gold Yudhika star! It is by far the best ‘blow your socks off’ boerie I have ever tasted. Since the breyani was a new dish we handed out little tasters garnished with crispy onions and coriander. Can you imagine a bus load of handsome, well dressed men who look like Enrique Iglesias??? One or two Enrique lookalikes would be challenging but a bus load of them was just more that most girls could handle! They toured the store turning heads everywhere they went. Boy, I wish I had made a “Pull Out All The Stops Paella’ that day. I handed out Chicken Breyani tasters instead. I don’t know if they could sing – but that was the last of my worries! Enough about the Spaniards – the Breyani never made it to the hot counter. We sold out in half an hour with the Broadacres customers ordering mainly large portions.